While we realize that the primary calling on any church is to engage the community locally, we also believe that God calls us to be a part of what he is doing globally by helping take the gospel to the ends of the earth! We have the privilege of participating in God’s global activity in a number of ways which include supporting missionaries serving abroad, taking short-term mission trips, partnering with organizations that send resources around the world, and raising up disciples who feel called to take the gospel to places outside of U.S. Below you will see a list of places we’ve been, organizations we support, and people we partner with who are going global with the gospel! The IMB exists to partner with churches to empower limitless missionary teams who are making disciples and multiplying churches among unreached peoples and places for the glory of God. Our partnership with the Internation Mission Board allows us to join churches from around the country to send our collective support to missionaries serving around the world! IGL is an indigenous, Bible-centered ministry born and operated in the heart of India. Millions across South Asia still need to hear the Good News about Jesus, and millions more need practical blessings like education, medical care, and economic opportunity. IGL has planted more than 90,000 village churches in the past 25 years, and from these, hope is shining out to a world darkened by desperate poverty and ancient idolatry. IGL has grown from a small mission in South India to an international mission; sharing the gospel, serving with compassionate care and seeing God at work. Grace Point Fellowship will be partnering with IGL this coming summer by taking a trip to India and considering other ways we can partner together to see the kingdom expand in India. Operation Christmas Child is a simple idea that has a global impact for the glory of God and the good of others. Leading up to each Christmas, we pack shoe boxes full of gifts and supplies for children in need around the world, who otherwise would likely not receive anything for Christmas! 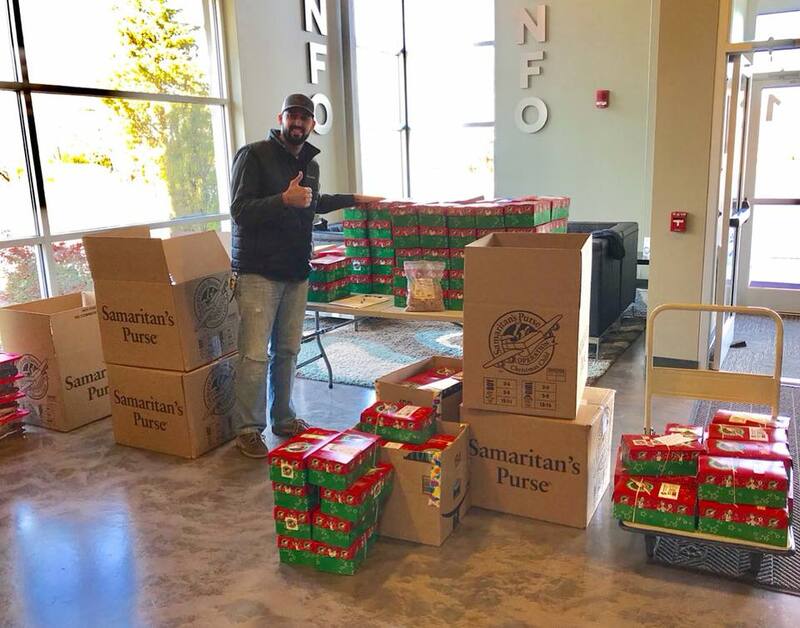 In years past, we have pack hundreds of boxes for students as a way of serving “the least of these” in a number poverty-stricken countries around the world. However, not only do these children receive a gift, but they also get to hear someone share the good news of Jesus with them!